Kris Jenner is so cunning she now wants a legal lock on the very name that has been sometimes used to disparage her ... momager! 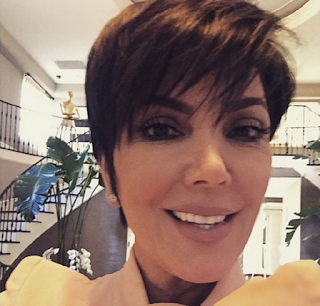 We found out Kris has filed legal docs to trademark the name "momager" in the world of entertainment, which means anyone else who wants to use the description would need her permission, or else she could sue them. It looks like she'll get what she's gunning for, because Kris has already locked down trademarks for the term "momager" for personal management services and for use in her reality show. Apparently, Kris doesn't like imitators like Dina Lohan and Tina Knowles. This bish is so damn greedy! She needs to worry about her doped up daughter, cos Tyga gonna start passing her around like a blunt.